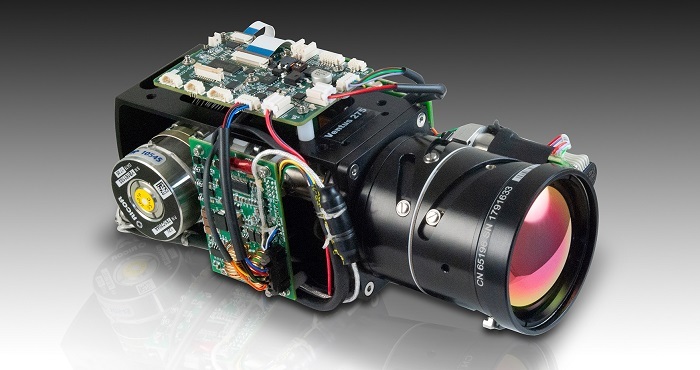 Posted Nov 05, 2018 by Sierra-Olympic Systems, Inc.
Sierra-Olympic Technologies has introduced a midwave-infrared, 640 x 512 x 15 μm imaging engine with an f/5.5, 19 - 275 mm continuous zoom (CZ) optic. The new Ventus 275 is a compact, lightweight (1153g) MWIR thermal camera core specially designed for OEM integrators of surveillance system enclosures and other imaging gimbals. It features an indium antimonide (InSb) focal plane array and a finely-tuned athermalized and parfocal zoom lens with a 28.4 - 2° horizontal field of view (HFOV). 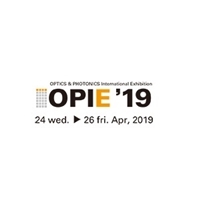 The powerful image processing engine provides advanced image enhancements including electronic image stabilization, automatic/manual gain control, adaptive contrast control (CLAHE / LAP) and optional target tracking/detection. The camera also features a shutter-based non-uniformity correction (NUC) and an environmentally-sealed front lens element. Multiple output interfaces include analog NTSC/PAL video, H.264/MJPEG IP video, and 14-bit Camera Link digital video, making the MWIR Ventus 275 ideal for applications in security/surveillance, fixed monitoring, defense, manned/unmanned ground and airborne platforms. Sierra-Olympic’s expert staff is readily available to support OEM integration and assist with easy exportation (EAR ECCN 6A003.b.4.a) and documentation tasks. Sierra- Olympic will showcase the new camera at VISION Stuttgart event from Nov. 6 - 8, 2018. More News From Sierra-Olympic Systems, Inc.